The introductory image shown to legislators in UConn’s presentation on Next Gen CT. Despite receiving their initial funding for a major science and technology initiative just one month ago, University of Connecticut officials told legislators Tuesday they have hit the ground running on Next Generation Connecticut. Next Gen CT is an ambitious 10-year, $1.5 billion expansion plan to develop UConn into a pre-eminent research university and innovation hub. Progress by the university in recent months includes new faculty hires, new building construction and renovation projects, surging enrollment and more than a dozen approved and pending business partnerships, Provost Mun Choi said. “Our faculty members are not resting on their laurels,” Choi told leaders of the legislature’s Finance, Higher Education and Commerce committees. After outlining five new high-tech business partnerships with local companies, a German engineering firm and the federal government, Choi said UConn professors have pending nine more proposals that – if successful – would attract nearly $75 million more in research funds. Launched by the General Assembly and Gov. 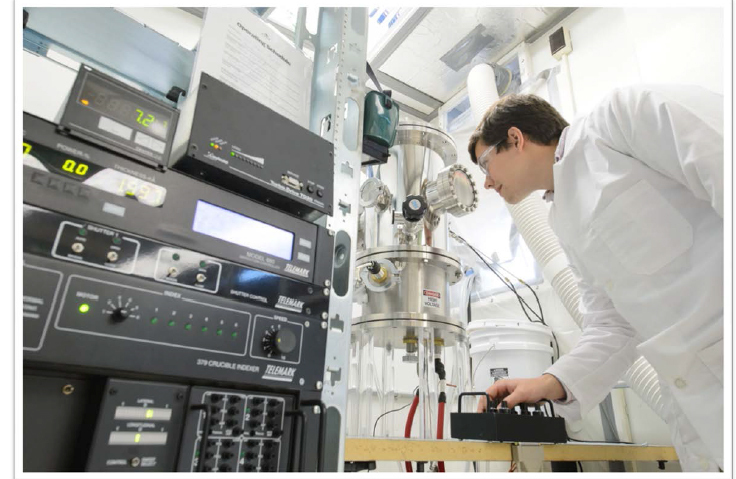 Dannel P. Malloy last spring, Next Generation is designed to dramatically expand engineering and science programs at UConn while increasing collaborative research with the private sector. The initiative is expected to boost enrollment by 5,000 students on the main campus in Storrs over the next decade. Choi said the university already has about 1,000 more students enrolled in science, engineering and technology programs than it had two years ago. “And this is a trend that will continue based on the applications we are seeing,” he said. 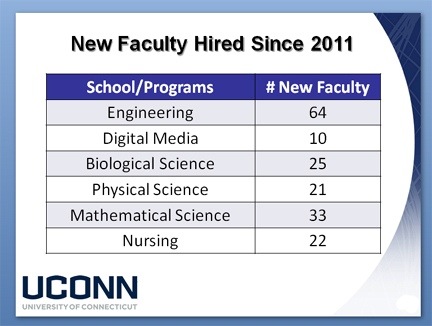 Over the last fiscal year, UConn has hired 112 new faculty, including 61 for research and teaching in science, technology and engineering. Choi added that the university is following a $205 million capital program in the new fiscal year that includes continued work on new engineering and research buildings. The former is set to open in January 2017 and the latter one month later, he said. UConn also plans to complete a new residence hall for science and engineering students in the fall of 2016. While lawmakers generally praised UConn officials for their initial steps in the Next Gen program, they also set out several new challenges. Sen. Stephen T. Cassano, D-Manchester, called it “a fascinating plan” and “exciting to see,” but quickly added he fears too few Connecticut residents will learn about it. Cassano specifically challenged UConn officials to dramatically increase their efforts to market the initiative, particularly since its success hinges on attracting new businesses to partner with students on research programs. “In a lot of ways, UConn is the best secret in the state of Connecticut,” he said. 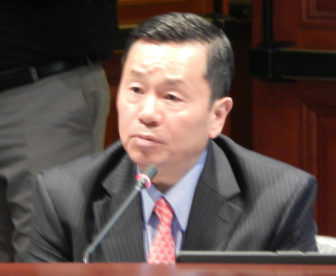 UConn Provost Mun Choi at Tuesday’s legislative briefing. Sen. Toni Boucher, R-Wilton, said she fears the Next Gen program may be harmed by the general business atmosphere in Connecticut, which has “some of the most anti-business policies” in the nation. For example, new companies may partner with UConn to get off the ground. But once successful, Boucher asked, will those companies stay in Connecticut, or take their jobs out of state? Choi carefully answered the politically-charged question. “We are being pro-active in this regard,” he said, adding that UConn tries to make potential partners aware not only of the university’s potential, but of the various economic development and business support programs state government offers.